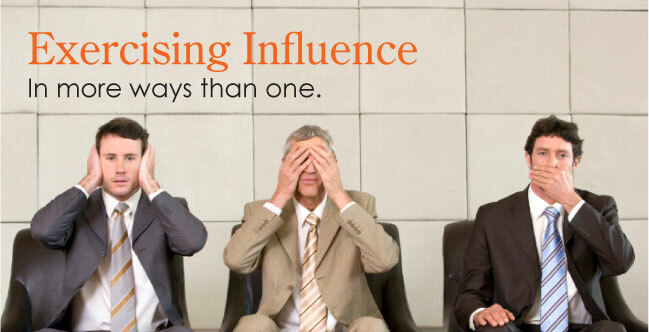 Exercising influence is a cornerstone of effective leadership. And yet, there is a delicate balance between getting things done and upsetting people with commands, demands, and directives. Sometimes, direct influence is the best way to get something done, and sometimes coming at it more obliquely will be more effective. ODL’s Exercising Influence class provides you with a range of tools—direct and indirect—to get things done in a manner that works for the long haul. What are the benefits of attending an Exercising Influence class? You will learn a variety of direct and indirect influence techniques. You will learn how to assess when indirect influence methods are most appropriate. You will learn how to determine when followers need more support and direction, and when it’s preferable to leave them alone with their work. Who should attend a Exercising Influence class?